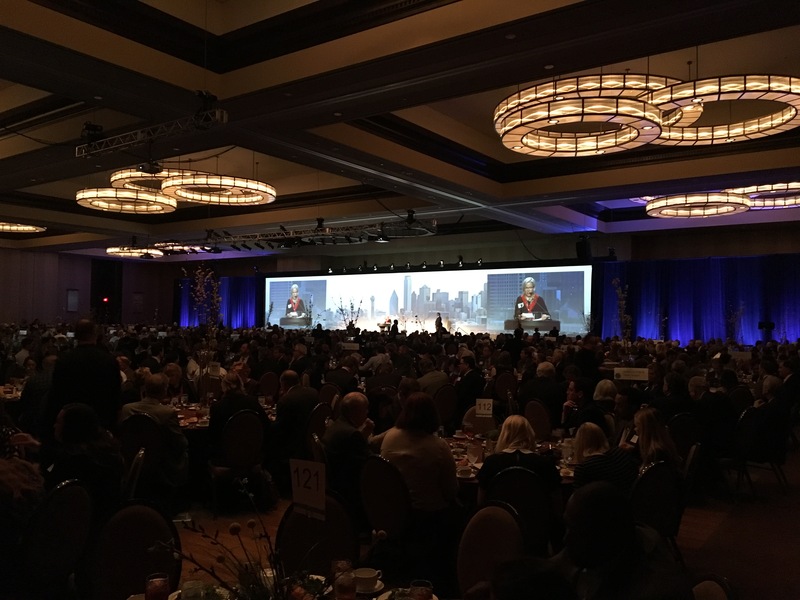 I had the pleasure today of attending, along with about 1,100 of my fellow citizens, the annual Downtown Dallas Inc. luncheon. The keynote was Greg Lindsay, an urban futurist and two-time Jeopardy! champ. Smart guy. Fast talker (in the best sense). I’m not here going to address any of that. I’m going to talk about one little thing that was said before Lindsay took the mic. Before the keynote, John Crawford, longtime head of Downtown Dallas Inc., gave a short speech laying out how much progress downtown has made during his tenure at DDI. All of which is true. But in bragging about the city, he trotted out a line that I’ve heard from others. DART, Crawford said, is the largest light rail system in the country. The implication: isn’t that cool?! No, it’s not. For those who know the score, this boast — We’ve got the largest light rail system in the country — is like saying Dallas is a world-class city because we were the first outside Africa to get Ebola. If you don’t get the folly of the DART boast, read this post that our Peter Simek put up just a couple days ago. Read this story he wrote in our July issue titled “DART Might Destroy Downtown Dallas.” The short version: DART is one of the most inefficient rail systems in the country. Its sprawling light rail system isn’t a point of pride. The good news: Crawford was making these remarks as he was officially handing over the DDI reins to Kourtny Garrett. As he himself said, he made a good choice.